Hi guys! This year I am participating in a lot of read-a-thons and I thought I’d share them with you guys so you can join in with me! I definitely don’t have all this year’s read-a-thons on this list so if you know of any please let me know down in the comments below so I can read-a-thon more! So, here we go! ~2nd-8th #AYearAThon (Bench Warmer Month- this means a book that has been sat on your shelf for a long, long time) My TBR for this read-a-thon will be up super, super soon! ~25th April Dewey’s 24 Hour Read-A-Thon! I will definitely update this post if I find any other read-a-thons to participate in. Let me know if you are going to join in with me and leave me a comment if you have any requests or questions. I will also be doing small updates during all the read-a-thons so you can see what I’m up to! Let me know what you’re doing during the read-a-thons too! Thank you so much for reading, my Goodreads link is down below! Catch up with you later! Bye! Author yourbestbookpalPosted on February 25, 2015 March 11, 2015 Categories Read-A-Thons1 Comment on Read-A-Thons 2015! Hi! My name is Caitlin, but you can just call me Cait. I am a proud fan girl of everything YA and that is why I decided to write this blog for you guys! I want to share with you all the amazing reads I find and discover brand new stories you guys recommend to me! You guys can expect book hauls, book reviews, monthly wrap ups, recommendations… Anything you guys want! So, to kick off, I thought I’d tell you guys my top 3 books at the moment! Starting off, one of my favourite books is….. 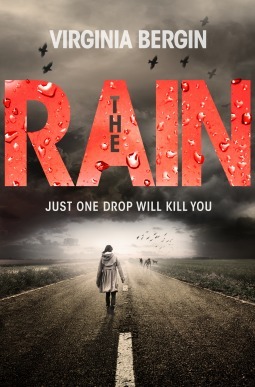 THE RAIN BY VIRGINIA BERGIN! I love this book so much!This story is all about this girl called Ruby and she’s at a party and she’s in a hot tub and she’s about to kiss this dreamy guy when suddenly, it starts raining! Not just any rain, it turns out that the rain can kill you!This book made me laugh out loud and at the same time scared me to death because the fact that this is based in the UK makes me think that this could happen to me!The main character Ruby is so, so funny. Her decisions make be rash and reckless but I think that makes her so much funnier than if she’d thought it through. So, just pick up this book now! It’s so good! Hilarious, suspensful, amazing! Trust me, this is the only main stream book I’ve chosen but I had to put it in this list because it is just so amazing! This book is all about this dystopian world where the population is split into five factions (all with different traits) as a reason why they think that the government before failed. When the people in the city become a certain age, they have to decide which faction they want to be a part of and if they decide not to be in the same faction as their family they will never seem them again. Harsh life. Anyway, sounds good right? Although all of you guys have probably read it if you haven’t, just read it, it’s so good! 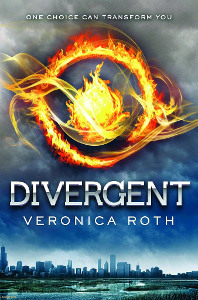 In fact, just read the whole Divergent trilogy! Please! THE HALLOWED ONES BY LAURA BICKLE! Now this is probably the least known of the ones on my list. However, I think this one really should be put out there! This story focuses on this teenage girl named Katie who lives in this Amish community. Katie is about to embark on her ‘Rumspringa’ which is when Amish teenagers go out and visit the Outside for a while. However, something happens to prevent her ‘Rumspringa’ from happening. So, it is up to Katie to stop whatever is lurking around the Amish communtiy. Okay, I made it sound really bad but trust me, this is one of my favourite books (actually duologies) out there right now. So please guys, just pick it up and read it, it’s so good! The second one is called The Outside and it is just as good! Sorry the picture wouldn’t upload.. but here’s the Goodreads link so you can check this out! Okay! That’s all for this update! I hope you guys enjoyed this! Please let me know what other updates you’d like me to do! Thank you guys so much for reading this! Please let me know what your favourite books are that you’d like to recommend to me? Also, have you read any of these books, if so I’d love to talk to you about them! My Goodreads link is down below. Feel free to contact me I’d love to talk to you guys! Talk to you guys soon! See ya! Author yourbestbookpalPosted on February 23, 2015 February 23, 2015 Categories Uncategorized2 Comments on Welcome!